OK, so I was oddly charmed by this story on Jalopnik, about Mazda's plan to build a luxury brand (Pegasus/Amati) in the late 80s/early 90s that would have rivaled Lexus/Infiniti/Acura. Unlike the author, I don't find anything inherently implausible about it. If Infiniti could survive it's dumbass launch, why couldn't Amati? And while I remember hearing about it at the time (and knowing the Milenia was supposed to be an Amati), I didn't know about the goofy 4.6L V-12. I hadn't paid that much attention to them, but I love how they're like a 12/10 scale Silvia/240SX but also mixed with Subaru SVX. And the interior is weirdly a mashup of something like a 928 and a Lincoln Mark VIIII. A 3 rotor sequential turbo engine related to the one in the FD can't be that hard to maintain, right? If JV comes with the deal, it might be worth taking. Where would you find something like that? This place in Richmond is pretty well known for importing JDM cars that are over 25 years old. They don't have any right now, but they've sold several in the past, and I think they'll accept a request to go hunt one down in JPN for you. Neat cars. Auto only. Most came with the sequential turbo 13B REW. I know a guy who can fix that. I think some people really like right hand drive cars in the states. I'm not one of them. Saw one on the freeway today, weirdly. That is weird. If I didn’t look twice from that angle I would think it was an SC430. I remember reading the rumors about the Amati division back then. 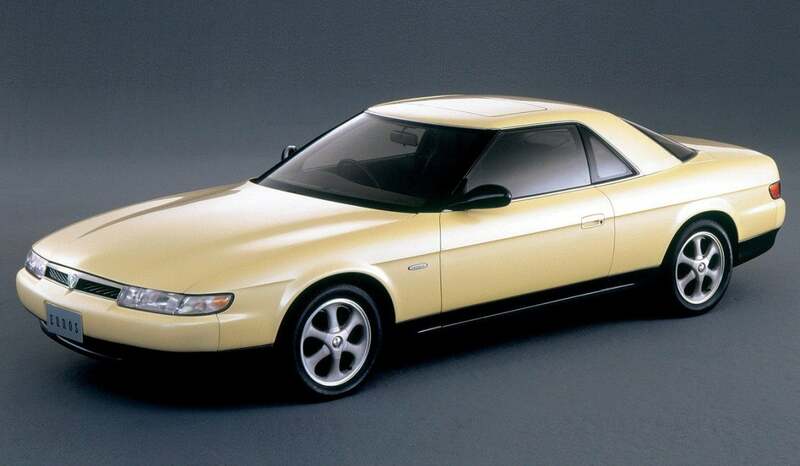 Also remember the Mazda Millenia and thinking it was a good looking car. I think a friend's dad bought one. Never knew about the planned v12. That would've been amazing.